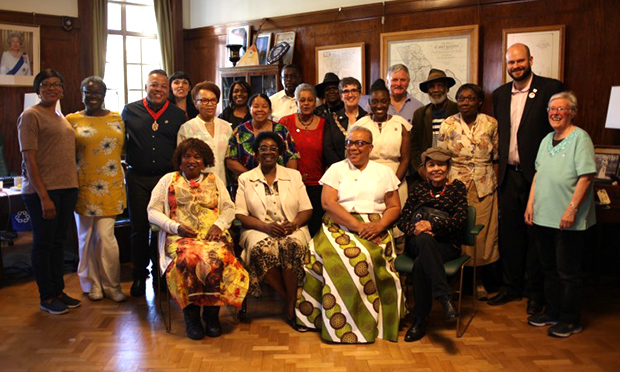 Caribbean elders with the Mayor and local councillors at the Town Hall last year. Hackney Council has been awarded £10,000 in government funding to commemorate Windrush Day. 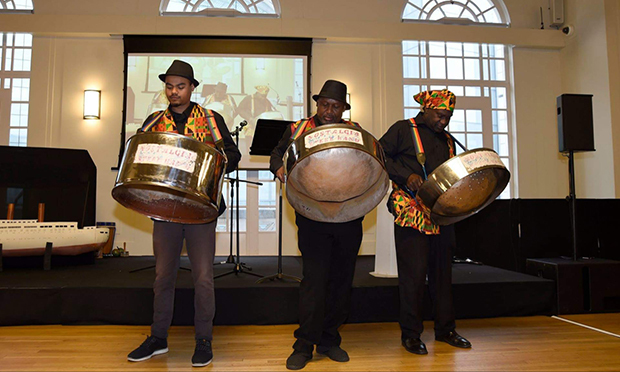 The Town Hall is one of 50 organisations across the country to get a slice of a £500,000 government pot for celebrations on 22 June, the day the HMS Empire Windrush arrived at Tilbury docks in 1948. Hackney’s portion will go towards an event for Windrush elders at Stoke Newington Town Hall, a micro-grant system to fund community projects across the borough, an intergenerational Caribbean bake-off, and a cricket tournament. The day will also feature a host of other creative and cultural activities. Drummers entertain at last year’s Caribbean Tea Party. Deputy Mayor Cllr Anntoinette Bramble said: “Hackney has a large Caribbean population, and as such we are excited to receive this funding, which will support us in our borough-wide celebrations of the Windrush generation. Last year, the council invited a number of Caribbean elders to the Town Hall for a special ceremony. It later became the first local authority in the UK to pass a motion in support of the Windrush generation. The HMS Empire Windrush was the first ship to bring Commonwealth citizens from the Caribbean to the UK as part of a request from the British government for help with post-war rebuilding efforts.